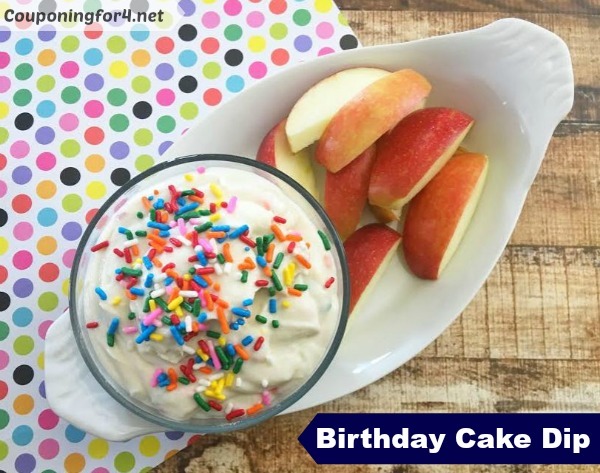 If you’re a fan of all things birthday cake, you’re going to love this Birthday Cake Dip recipe! Using Greek Yogurt as your base, this version is a little healthier than others that you may have seen and can be served as dessert or a snack. 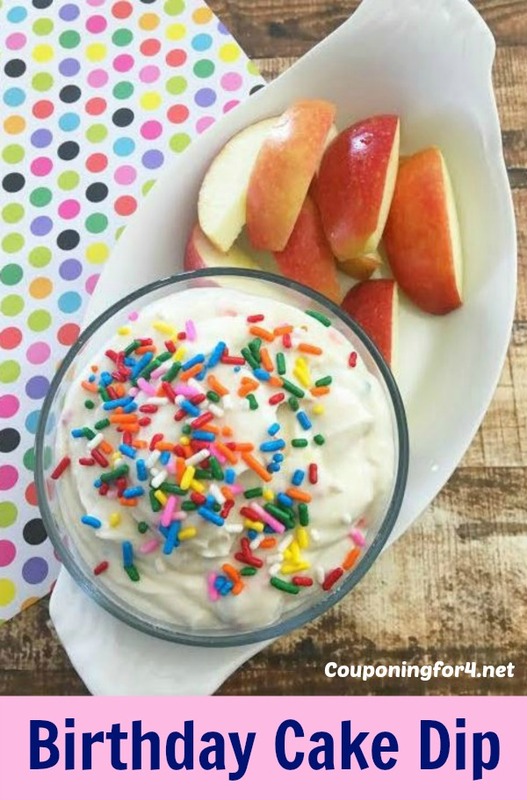 Pair it with apples, other fruit or animal crackers and serve it to the whole family! Place your Greek yogurt in a medium sized mixing bowl and mix in your brown sugar. Next, mix in your cake mix, vanilla, and one tablespoon of sprinkles. Scoop your mixture into a clean bowl and top off with another tablespoon of sprinkles. Serve with fruit or animal crackers and enjoy! Place your Greek yogurt in a medium sized mixing bowl. Mix in cake mix, vanilla, and one tablespoon of sprinkles. Scoop into a clean bowl and top off with another tablespoon of sprinkles. Serve with fruit or animal crackers and enjoy!